You have many important data which you store on your computer. And if the worst happens you lose your games and software library, personal photos, vital business documents then that could be a real catastrophe. Which is why you should backup your computer on a regular basis. 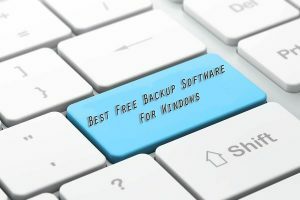 Today we will show you top 6 best free backup software for Windows computer and laptop. Sometimes, you will lose data while installing new Windows, or it might be some system failure due to which you lost your data saved on your computer. To recover this data, there are a lot of free backup software which helps you to backup your data daily. So you don’t need to worry about data loss. Here is a list of backup software for you. Google drive is really a great free software to save and backup your data because your data is saved on SSL with high security. To backup data on Google drive, you need to do it manually, all your data will be stored online. Google drive starts you with 15GB free, so you can keep videos, photos, stories, drawings, music, recordings. Your data in Drive can be reached from any computer, smartphone, and tablet. DropBox is one of the best free backup software for Windows computer where you can backup your files easily. 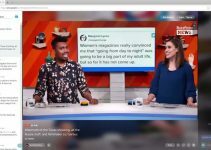 It’s simple to save files on dropbox all you need to do is drop your files in the dropbox folder, and access them on every device connected with dropbox. You can share large files with anyone – even if they don’t have a Dropbox account. If your computer running Windows 7, Windows 8.1, Windows 8 or Windows 10, we recommend you download AOMEI Backupper Standard. AOMEI Backupper Standard is a backup software with a lot of features: partition, disk or system image backups, disk cloning, file sync, easy browsing of backup images and a bootable rescue disc for emergencies. You can select to backup the whole system or the files you want. The best thing about this software is you can do any background work without worrying about your computer to hang. AOMEI Backupper has both the free and option paid. Paragon Backup and Recovery 15 is the best free backup software for Windows which you can use for backing up or recovering your all data. This tool allows you save your data on your external or internal HDD. You can even backup the data in any other computer on the same network. The best thing about this tool is you can recover any file at any time using their recovery option. OneDrive is a great app for saving your data online. It provides cheap storage plans and high security. OneDrive gets started with 5 GB for free. If you want to more space, get 50 GB for just £1,99 a month. EaseUS Todo Backup Free is a most popular free backup software with over 6,000,000 home users. This app lets users to backup photos, music, videos, documents, system, etc. All the data stored under EaseUS Todo Backup is totally secured. The best thing about this software is you can easy data backup to Google Drive, Dropbox, and OneDrive. Above we have share Top 6 Best Free Backup Software For Windows. If you know about some similar software then comment below and we will update the post with the info you provide. We hope you also share this guide with your friends and family over the social network so that they can also know the best free backup software for Windows. It’s also the best way to which you can let others support us! Thank you.